The best way to enjoy ice cream is by eating it! There are limitless ways to have your ice cream and eat it, too, and once you’ve gotten your ice cream, you can officially have a great day! 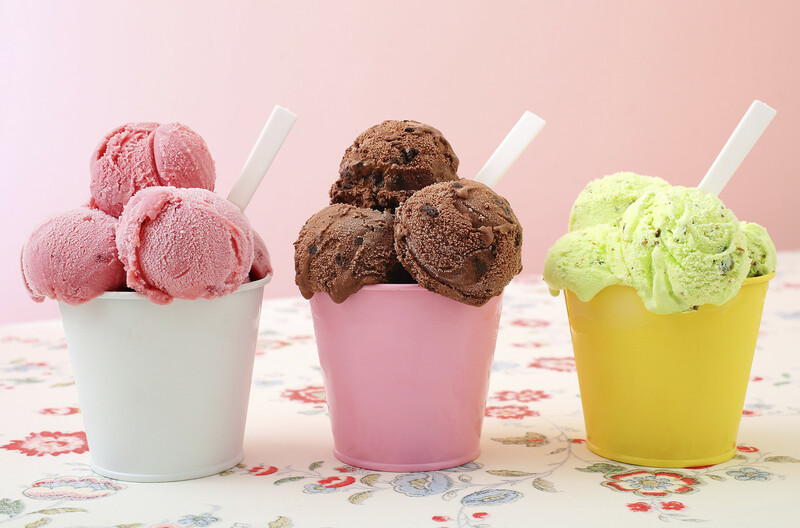 Ice cream was created by an American woman in the mid-20th century when she blended ice with milk and cream. It has since spread all over the world, adapted by this culture and that nation into many a magical and delicious thing! Mochi is the rice dough-wrapped treat that originated in Japan, and has since taken the world by storm. One of the most popular flavors of mochi is Japan’s own adzuki, also known as ‘red bean’ to native English speakers. The fruity flavor has been shipped worldwide, and beloved by millions. Plum wine, black sesame, and a variety of sake flavors are on the market in the form of mochi. Thailand lent its Thai Tea, Mexico lent chocolate, and strawberries come from all over. Loving ice cream is loving mochi! Chocolate is yet another amazing sweet that is loved by many, if not most, people in the world. Decadent cocoa flavor and varying levels of sugar and milk make chocolate an essential part of desserts all over the world. If you’ve got ice cream, then, more than likely, you need chocolate. Rose ice cream with a dash of chocolate syrup, or topped with pistachios and chocolate brownie crumbles is a recipes for the best day of your life. Chocolate brings the cocoa decadence, fruit gives an extra zing of sweets, and adding chopped nuts to your ice cream makes the texture bumpy and fun! Ice cream cones have been around for as long as ice cream, and makes ice cream even better! With a unique flavor and texture, ice cream cones come in a variety of sizes, and may be dipped in toppings themselves, and coated in nuts, candies, or dried fruit. If you’ve got the right type of cone, usually a sugar cone, or a stick, you could have your ice cream dipped in a chocolate shell – wet when it goes in, and is given to you, hard after just a few quick minutes of sitting on the cold ice cream. Ice cream in a cone can be a melty mess, but makes for sweet pictures of children and couples. Italians figured out that how to make amazing ice cream long ago, and they also discovered that adding their native espresso makes the ice cream something remarkably delicious. Affogato is the name given to a scoop of ice cream in a cup of espresso, and cafes that serve ice cream always offer it to eager customers. With affogato, you’ve got something cool, sweet, and creamy in something strong and hot, and a delightful afternoon will soon follow. Both a classic soda fountain dessert and the subject of a sensuous song, milkshakes may be the best way to enjoy ice cream. You blend your favorite ice cream with a little bit of milk, and boom! You’ve got a portable ice cream delight that will only spill if you tip the glass over.